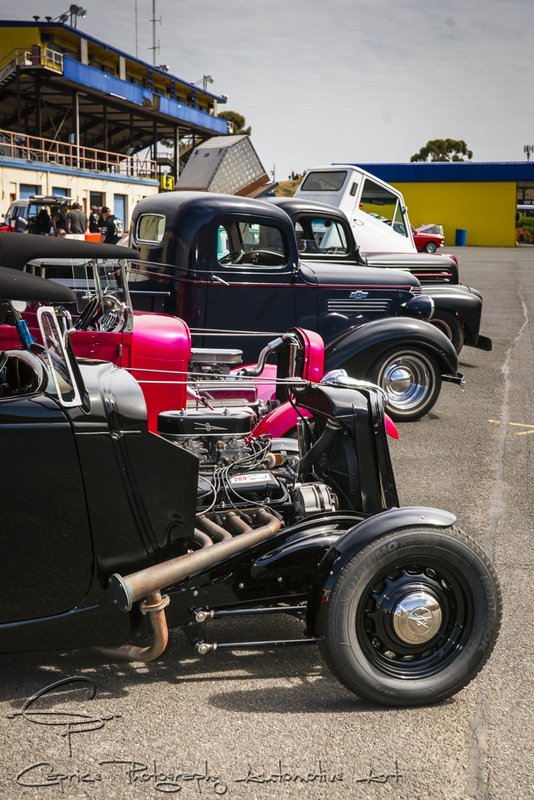 Over 150 classic cruisers and rods parked up on the black top carpark while the drivers and co took in the frantic activities of the pits as racers and crew went about fine tuning their high horsepower rockets. 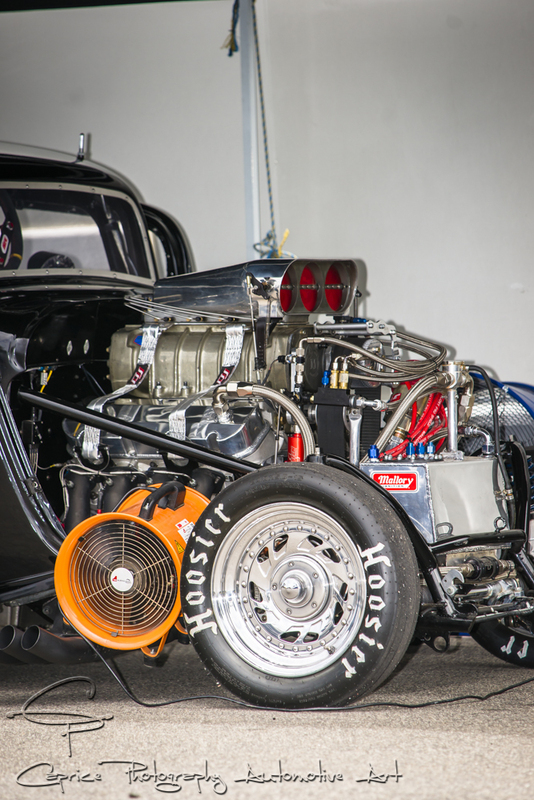 Everything from Street Outlaw class rides to old school gassers and wild rods could be found throughout the pit area. The only time the pace slowed down was when the welcome distraction of the stunning Kingpin models, Dahlia Black and Katarina Sin strolled through the pits much to the delight of the racers and crews. Plenty of photo opportunities were taken advantage of as the girls’ slender figures created a juxtaposition with the hard edged curves of the highly modified metal machines. Track action saw your fair share of wheel standing racing as gasser matched gasser and Street Outlaw matched Street Outlaw! The drag rods weren’t going to be outshone with their wild start line antics and even a bit of two wheeled action could be found. With a gap in proceedings allowing the track to be open to a bit of laid back cruisin, the carpark soon emptied out as the show n shine became mobile, showcasing the other side of our automotive action. The melding together of these two entertainments has the potential to create a lasting legacy and celebration of our automotive past as fast cars were born in conjunction with loud riotous music embodying the sport we choose to immerse ourselves in on a regular basis. The word from the top is to expect another Kingpin Kuztums/ Calder Park event in the near future, so if you missed this one, stay tuned for the next one ’cause it’s gonna go into the night! Get revved up and rock on! If you would like to receive more posts like this, head to the BLOG page and click FOLLOW! You’ll stay right up to date with all future posts!